Mr. Berardo started his career in Healthcare Services with U.S. Healthcare in 1990. 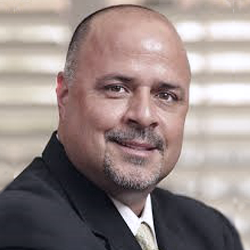 Joseph Berardo, Jr. currently serves as the CEO of Carisk Partners, formerly Concordia Care, Inc., a complex case management company focused in the behavioral health, addiction and catastrophic injury segments. The company also operates Managed Behavioral Health programs (MBHO) for Commercial, Self-Insured, Medicare, Medicaid, and other Government Sponsored Programs and Plan Sponsors. In addition to his roles at MBF, Mr. Berardo also serves on the Board, and is an investor in, the Brighton Health Group as a result of Brighton’s acquisition of MagnaCare in January 2014. He had served as CEO of MagnaCare for 8+ years before transitioning to Non-Executive Chairman in January of 2016. Mr. Berardo originally joined MagnaCare as Vice President of Sales and Marketing in January of 2003. He took over as President in June of 2005 and added the role of CEO in September of 2007. Mr. Berardo started his career in Healthcare Services with U.S. Healthcare in 1990. He subsequently held leadership positions at Mount Sinai Health System, Empire Blue Cross/Blue Shield and Multiplan. A former Crain’s NY Business 40 under 40 and NJ Biz Power 50 in Health Care. Mr. Berardo has authored numerous articles related to health plan strategies for providers, employers and brokers. Mr. Berardo is former Chairman of Board of Directors of the Make-A-Wish foundation of NJ and former Chairman of the Board of the Ocean Medical Center Foundation. Mr. Berardo holds a BA in Economics from Rutgers University.